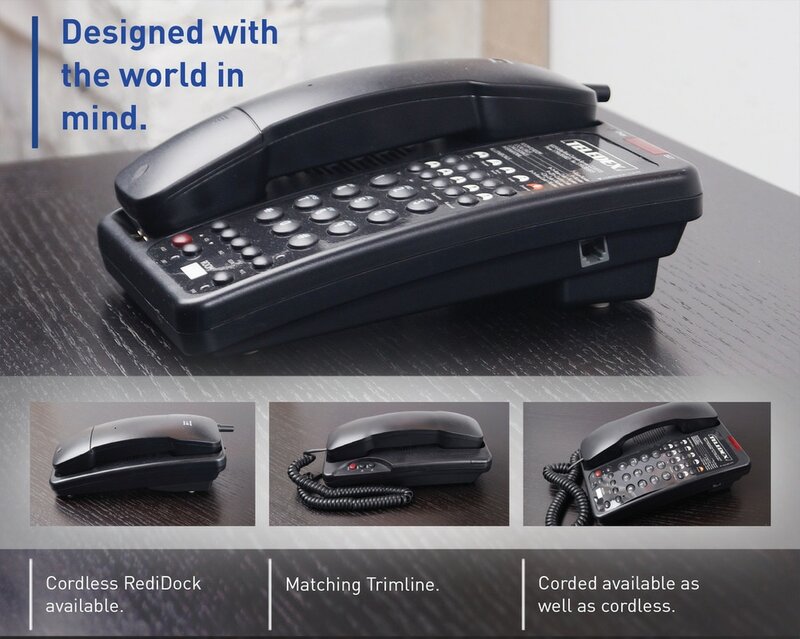 Teledex Opal Series hotel phones have a recognizable international design that compliments modern guest room décor. Available in single and two-line, analog, corded and cordless configurations, with an optional speakerphone, Opal Series are equipped with a red multi-function message-waiting light, and 0, 3, 5, or 10 programmable guest service keys. Teledex Opal DCT Series cordless sets support up to 3 additional AC-powered RediDock handset charging stations giving your guests the ability to charge their handset from multiple places within the room . . . all without needing additional guest room telephone jacks. Opal DCT Series cordless phones are also available with optional battery backup during power outages.